The site of this Wahlfach was be shared with another course from the Chair entitled If Walls Could Talk which focused on the acoustic particular aspects of the site. 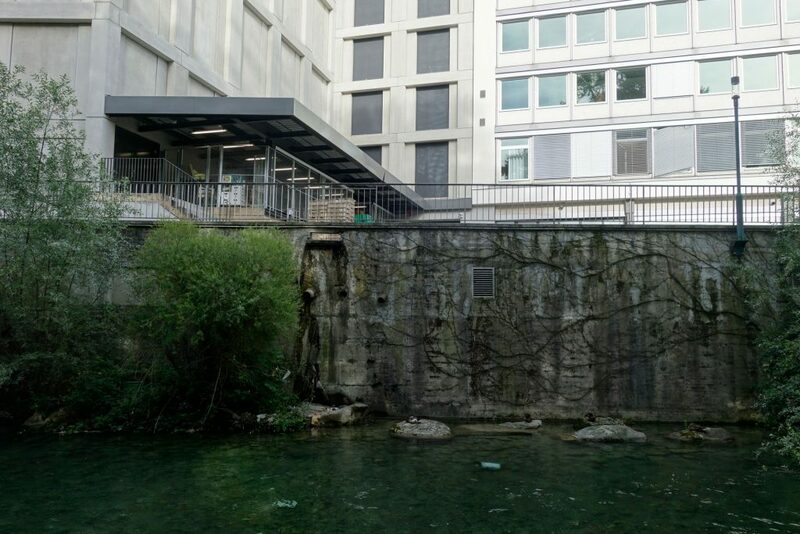 Zurich’s Schanzengraben (the last remains of the Baroque fortifications of Zürich) is an ambivalent walled space today, oscillating between modern city, historic artefact and public. 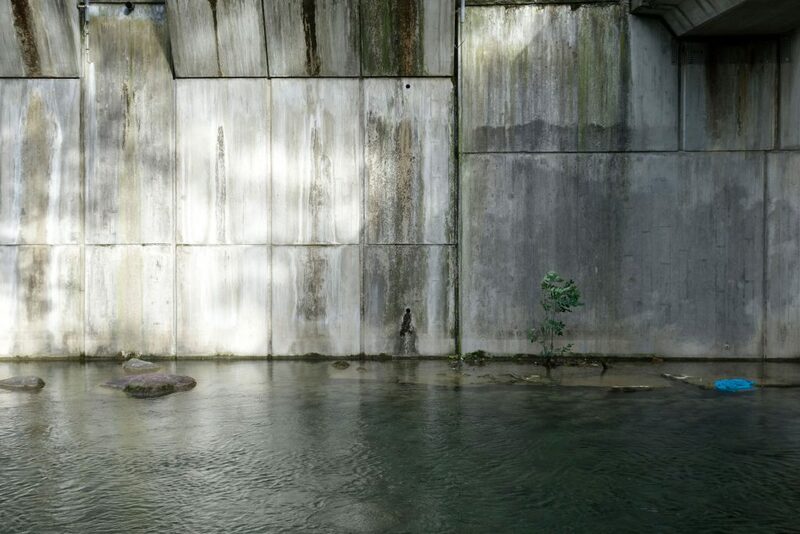 The waters of the Schanzengraben run along walls, that not only mark the border between different city districts, but also create unexpected sequences of water landscapes right in the inner city. 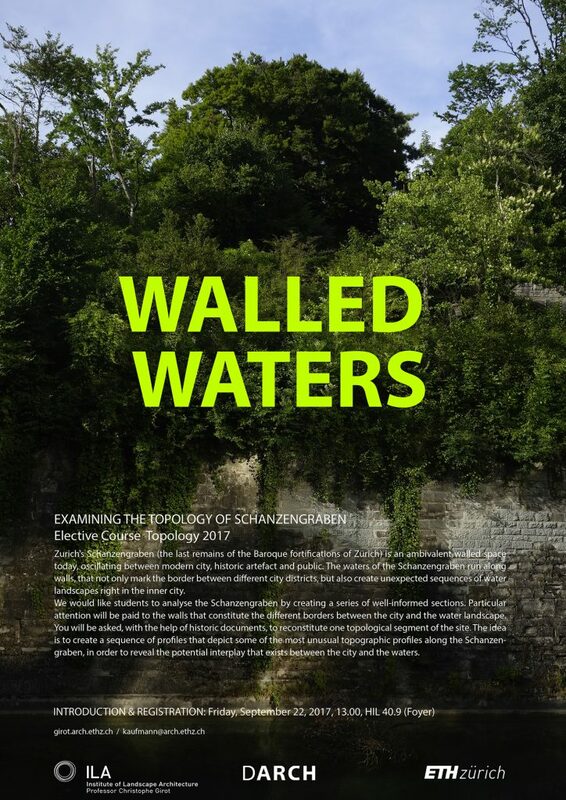 We would like students to analyse the Schanzengraben by creating a series of well-informed sections. 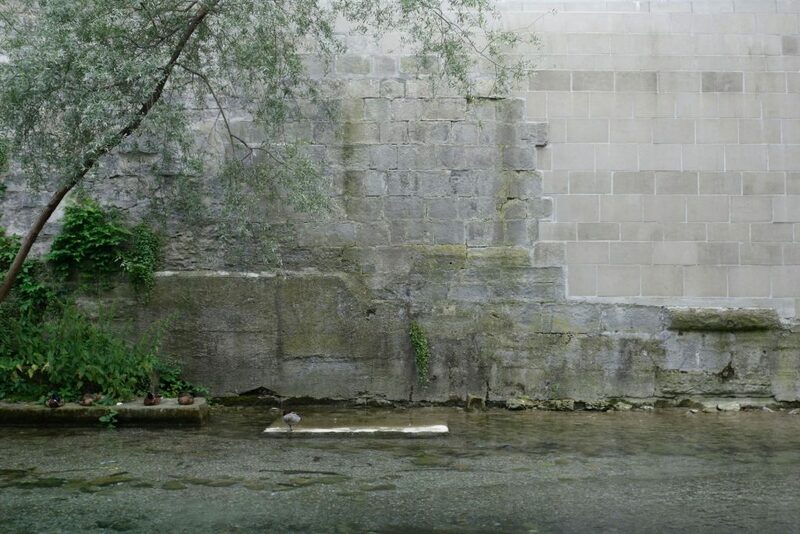 Particular attention will be paid to the walls that constitute the different borders between the city and the water landscape. 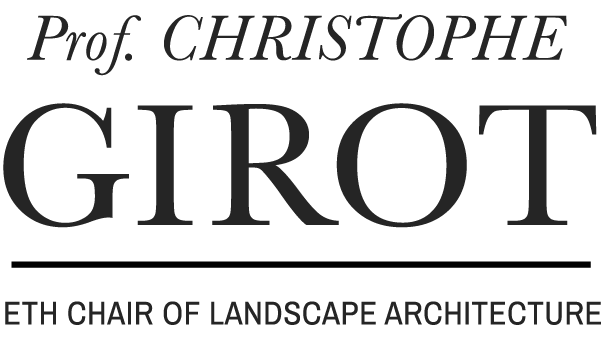 You will be asked, with the help of historic documents, to reconstitute one topological segment of the site. 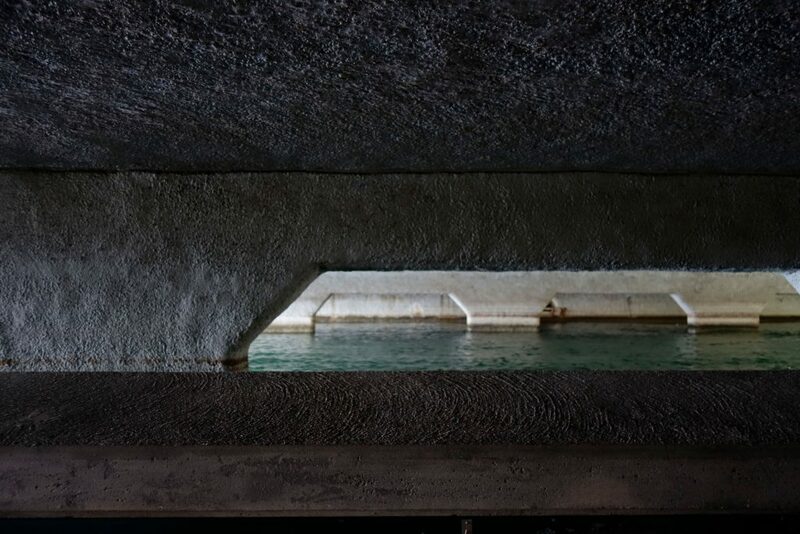 The idea is to create a sequence of profiles that depict some of the most unusual topographic profiles along the Schanzengraben, in order to reveal the potential interplay that exists between the city and the waters. 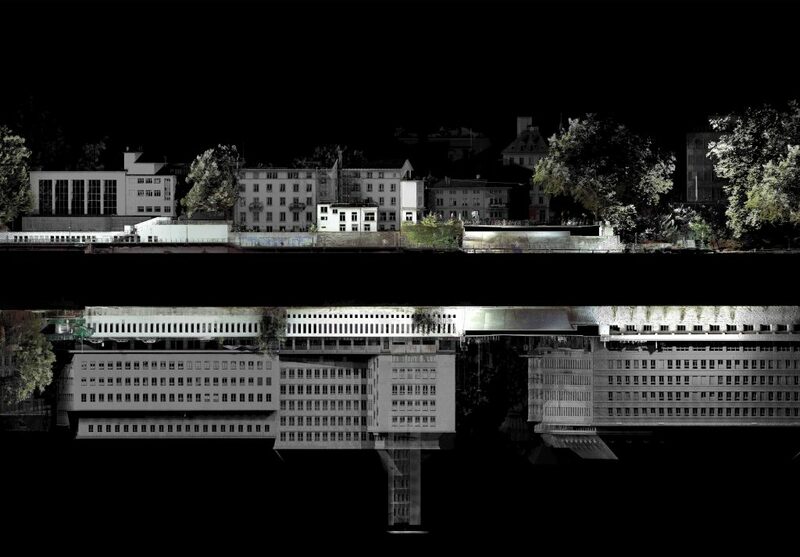 The method will use a 3D laser scanner to produce a 3D point cloud model for each area of interest along the way. The task will be double, first to re-create the existing sections of the Schanzengraben through the 3D model produced, and second to sketch some proposals for improvement based on these same sections. FS V10 "Landscape and Art"